One hundred and fifty years ago on this date, Frederick Law Olmsted, the landscape architect who designed Central Park, Boston’s Emerald Necklace, and many other city parks, outlined ideas for a very different space: Yosemite Valley and the nearby Mariposa Sequoia Grove in California. The Civil War had just ended, and President Lincoln had recently signed the Yosemite Grant Act, creating a park to be managed by the state of California. Though it created a state park, many historians see this moment as the birth of a national park system. As one of the state commissioners overseeing the grant, Olmsted argued for making Yosemite available to the public while also protecting it for future generations. In some ways, the 1865 report, which Olmsted read aloud to a crowd of about 20 people gathered in Yosemite, was a failure. He intended to send it to the state Legislature, but his fellow commissioners shelved it. It was rediscovered by an Olmsted biographer in the 1950s. But scholars today see it as an important statement that influenced the nascent preservation movement and eventually the creation of the National Park Service 50 years later. Dayton Duncan, a historian and coproducer of the documentary series “The National Parks: America’s Best Idea,” calls the report “probably the finest articulation of the purpose of public parks in a democracy that was ever written.” And while Olmsted’s recommendations for Yosemite were unheeded at the time, they helped shape how the parks are managed today. “We found our way eventually to Olmsted’s view,” says Duncan. Sunday morning Duncan will join a crowd near a sequoia tree in the Olmsted-designed Arnold Arboretum to read sections of the report. It may seem like a poor stand-in for the majestic scenery of Yosemite, but both places bear the imprint of Olmsted — one as a designer, the other as an advocate. Why is the American story of nature and conservation so white? Carolyn Finney uncovers a complicated history. WHILE WE’VE COME to see them as vastly different kinds of space, national wilderness parks like Yosemite and urban green spaces like the Arboretum were created and fought for by some of the same people using the same arguments. Olmsted’s perspective on Yosemite was shaped by New York City. He had not yet established a landscape architecture practice, and designing Central Park in Manhattan with Calvert Vaux was his sole park-making experience. Well into a peripatetic career, he was managing the Mariposa Estate, a rapidly failing gold mine near Yosemite, when he was appointed to the Yosemite commission in 1864. “He was the right guy at the right time in the right place,” says Rolf Diamant, former superintendent of the Frederick Law Olmsted National Historic Site in Brookline. Olmsted had only recently visited Yosemite, where he had been struck by its dramatic cliffs and pastoral valleys. He described a unified landscape that should be preserved as a whole. There was a practical reason to hold Yosemite for the public: Protecting its beauty would attract tourists and money. 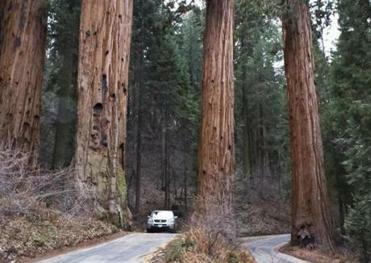 But Olmsted made a larger argument for why Yosemite needed to be a public park. This vision “was a product to a large measure of the Civil War,” Diamant says. Before that, government had a very limited role. But with the Union’s victory assured, Diamant added, there was a widespread sense that the new republic that emerged would be different: Government had a duty to provide resources, education, and opportunities to its citizens. Still, Olmsted argued any new facilities had to be compatible with the restful contemplation of nature. “He was careful in suggesting that the development inside the park has to be limited,” says Robert Keiter, director of the Wallace Stegner Center of Land, Resources, and the Environment at University of Utah School of Law. Olmsted also wanted $37,000 to be spent on these improvements, which may have doomed his plans. Nevertheless, influential journalists and park advocates of the day picked up the report’s major points, using them to frame a campaign for land preservation that had a profound influence within cities and in wilderness areas. “Olmsted is the one who really made a rhetoric and an ideology for why government should be doing this,” says Carr. Olmsted went on to use similar language in the 1880s in a movement to protect Niagara Falls. When he moved to Brookline in 1883 to set up his growing landscape architecture practice, he not only advocated for his own designed urban parks but also lent support and advice to others who were active in preservation movements. In Boston, this connection between urban parks and land preservation was carried even further when landscape architect Charles Eliot and journalist Sylvester Baxter, both compatriots of Olmsted, led a campaign to create Boston’s Metropolitan Park System in the 1890s. This push put spaces like the Blue Hills, Middlesex Fells, and Revere Beach under state protection for public use. Eventually, there was widespread recognition across the country that cities not only needed public parks, but what Eliot called “reservations” — scenic and recreational areas that protected natural landscapes. While American cities were busy building park systems, early national parks were disorganized. Yellowstone became the first national park in 1872, and Congress began establishing other national parks in the west, including making Yosemite a national park. By the 20th century, these scattered parks were facing uncontrolled crowds of tourists and development plans to exploit the areas with dams or logging operations. Yosemite was now filled with hotels — against Olmsted’s vision for discreet park facilities. A fierce battle over a proposed dam in Yosemite’s Hetch-Hetchy Valley, eventually constructed in 1913, helped spark the formation of the National Park Service in 1916. “Before that, we had a collection of extraordinary places that were managed in a haphazard way,” says Carr. Many scholars have seen a fundamental tension in the Park Service’s mission to both protect the land within park boundaries and to make it accessible. As environmental awareness grew, Carr notes, people increasingly saw these areas as wildernesses that need to be scientifically managed and protected from the impact of tourists. Today, fragile park ecosystems face increasing threats from development, pollution, and climate change. But Carr and others argue that the social role of parks is still vital. As the National Park Service approaches its centennial in 2016, discussions about its future have focused on how national parks can stay relevant as society changes. Park visitation is lower among young people and minorities, and there’s a growing concern about whether nature still has a place in a generation plugged into digital media. 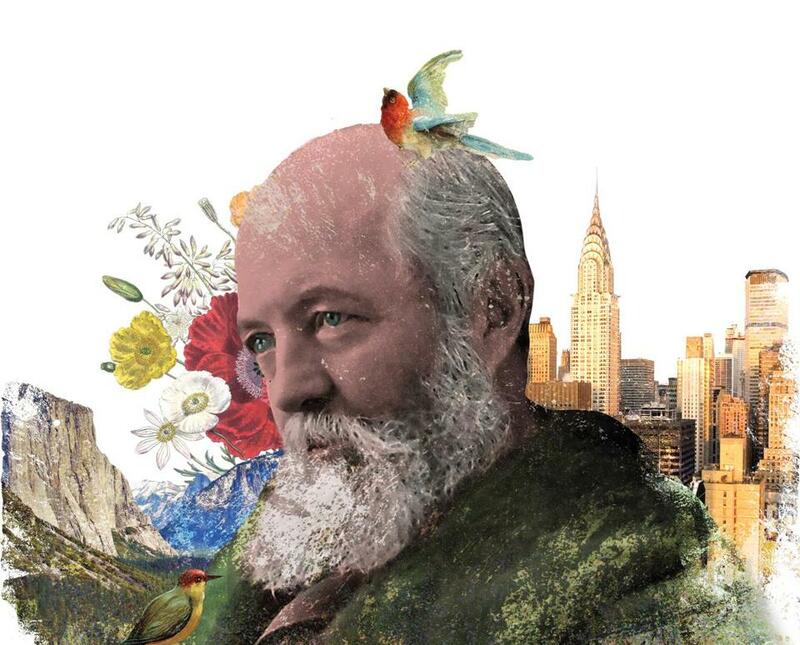 While some of Olmsted’s notions seem quaint now — few people today would argue, for instance, that an appreciation for nature separates civilized men from savages — his perceptions about the role of nature in well-being are still alive in a growing body of public health research. And the Olmstedian notion of accessibility is finding a new life in people like Rebecca Stanfield McCown, acting director of the NPS Stewardship Institute in Vermont. She’s helping lead an initiative called the Urban Agenda, which aims to make better use of the National Park Service’s significant network of urban parks as a gateway into the entire system. The National Park Service will commemorate Olmsted’s Yosemite report Sunday at 10 a.m. at Arnold Arboretum via the Bussey Street Gate. The public is welcome. Courtney Humphries is a freelance writer in Boston.